Rather than joining those who examine the entrails of what happened in the past 12 months and makes a narrative around the good, the bad and the ugly, how about we raise the tone a tad and look at attitudes and consensus. which might sound pretty harmless on the surface, but the laws are ‘world first’ — that doesn’t necessarily mean the legislation is well drafted. Francis Galbally, chairman of the encryption provider Senetas, told a Senate committee last week that changing just one part of a telecommunication network could have unforeseen ‘systemic’ effects — exacerbated by the bill’s demand for absolute secrecy. As an example of these ‘systemic’ effects, Galbally notes, “The bill, should it become law, will profoundly undermine the reputations of Australian software developers and hardware manufacturers in international markets“. At the same time ‘a multi-party push to legislate faster medical treatment for refugees on Manus Island and Nauru’ was being planned in the Senate by amending a related piece of legislation. By the end of the day, the government got its encryption laws and the Senate didn’t get to release people from Nauru on medical advice (without the Government following its apparent process and taking the case to the Federal Court). You can read all the gory detail here. Basically, the coalition puts their particular version of ‘national security’ above people’s lives, and the ALP has not stood up for its claimed principles. It is well known that the Coalition Government has a problem with climate change and energy. 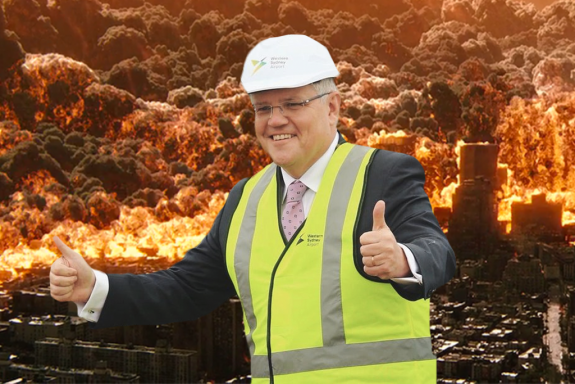 Together with a lot of other bloggers and commentators, we have spent hours and wasted millions of electrons (not to mention the oil tankers of printer’s ink) arguing that the coalition’s lack of action (but plenty of thoughts and prayers) on climate change is a moral failing. It won’t affect most of us that much, but our kids and grandkids will have some real problems. Just recently the media has reported on the ice sheet in Greenland melting at a rate far greater than environmental variability can explain and the population of the Northern Bettong, an animal that is essential for the health of rainforest in Far North Queensland, has declined by 70% in the past 30 years. Apart from the link between energy production and climate change, on a purely rational level, burning a finite resource to derive energy and stubbornly refusing to consider alternatives is pitiful public policy. It’s not only Abbott, Kelly, Canavan and Morrison on the LNP side that are at fault here. The ALP under Rudd told us that climate change mitigation was ‘the greatest moral, economic and social challenge of our time’, produced legislation which didn’t go far enough for the Greens (who the ALP needed on side to get the legislation through the Senate) so the Greens voted the whole thing down. Subsequently the ALP seemed to forget about the ‘moral imperative of Australia doing its part to confront a global and long-term problem’ until Gillard introduced the Carbon Pollution Reduction Scheme (falsely called a ‘carbon tax’ by the LNP for political point scoring). And recent events indicate that the Greens have still to learn the art of political compromise. That that could be the big issue here — compromise. Opposition Frontbencher Anthony Albanese recently recorded a podcast with The Guardian — reported here. In the podcast, Albanese discusses the differences between the old and new Parliament Houses — in the old one people were crammed into offices; in the new one every member has an office with its own interconnecting rooms, en-suite and kitchenette facilities. The only time the politicians actually have to see each other now is when the division bells ring (and some offices are so far away from the Chambers that Cathy Freeman would have had trouble getting there in the allotted time when she was training for the Olympics), or when their side of politics calls for a ‘show of force’ in the Chamber. In short, the MPs and their sycophantic staff are not only isolated from each other (should they choose to be) but also from the community they are supposed to be representing. It really can’t help when, for example, the Liberal Party is internally warring over the constitution of ‘the base’. Without being too crude about it, there is nothing wrong with communal amenities where perhaps the newest member of Parliament finds out the Prime Minister does have a backside – and can be approached just like everyone else. Earlier this year, George Megalogenis and William McInnes were among the guests on ABC Melbourne’s Conversation Hour. In the conversation Megalogenis discusses how AFL football is like politics and in the 80s and 90s, while the AFL and the NRL were effectively broke, it was a golden age in Australian politics with Prime Ministers such as Fraser, Hawke, Keating and Howard. His claim is that now politics is broke and football codes are a financial powerhouse. His theory — letting those in charge of the business get on with the business. His example — the CEO of the Richmond Football Club apparently doesn’t interfere in coaching decisions; she is paid to understand and run the business that supports the coach and players to be given what they need to perform at the elite level. It used to be the same in Parliament. The Prime Minister’s Office apparently interfered far less in day to day decisions of Ministers in the ‘golden age’ than they do now, if you believe the reports especially from the Hawke, Howard, Rudd and Abbott eras. Go hard or go home. Say something. Talk — really talk — about your life, your triumphs, your failures; your year of struggle or your reflections on another milestone reached; your pride, your joy, the moments of grace remembered or sought: or don’t talk, don’t just chatter, and how about we just stand in companionable silence and enjoy the passing parade around us. I’m completely happy with quiet too. And I wonder, if in a time of head-pounding 24/7 blah blah blah, a little less of the chat (and a hell of a lot more of the dancing) might actually be a good idea. Maybe it’s something our politicians and their sycophantic and fawning fellow travellers should consider — more serious talk; get on and do stuff without waiting for approval from Newspoll, and less chatter with those in the gilded halls around them. And EVERY time this initiative is mentioned in the media, and yes Trioli, you and Blue Boy especially, it is called a “carbon tax”. Funny how Parliament responds just like every other organisation by “discovering” that discussion between individuals is promoted by communal information exchange opportunities incorporated into building design. In office blocks, the exclusive executive toilet produces minimal opportunities for information flow between levels of the organisation, and since the smoking bans, the outside smoker’s group have become one of the power and information centres of an organisation. Apple recognised this and designed premises to facilitate informal interactions between staff members. London Metropolitan Police know this “communiality” improves crime detection rates. Disney discovered that staff interactions and creative productivity were reduced when the wonderful, but isolating, staff village was created for all the very best social reasons. There are many examples of bringing all the far-flung staff together into one “head office building” for administrative convenience that often then becomes the tombstone of that organisation. Perhaps this is an unexpected consequence of New Parliament House. With “Assistant Policy Staff” significantly outnumbering Parliamentarians the power games between those staff appear to have more influence on political events, rather than the negligible policy development under the present Liarbral Notional$ misgovernment, where the persons pre-selected by unelected political hacks of political parties jostle for media time to be influenced by almost unregulated paid political pressure groups. NEC – Its an interesting discussion in office design as well – open plan vs cubicles. Open plan is noisier however if you’re looking for someone for some reason (or you just haven’t seen them for a while) it is far easier to find them and interact. Cubicles allow for the personalisation of your own space, are quieter however there is far less chance for social interaction as there is always a sense of invading personal space. In one organisation I have worked in the CEO does have an office but spends weeks at a time at a typical workstation in open plan environments. They book out a meeting room for him but it is hardly used. Paul Davis – It’s hard to criticise others when even Gillard called it a ‘carbon tax’ and effectively conceded the argument. Kaye, it’s only a tax if it is introduced or proposed by Labor. If it’s proposed or introduced by the LNP, then it’s a levy. The baby who washed up on Surfers Paradise was allegedly sent into the water in the manner of the baby Moses, and was entrusted to God, or the angels. Will Scotty protect the Religious Freedoms in this case? The CPRS MKII was designed by Kevin Rudd and Malcolm Turnbull without any input from the Greens. It was an atrocious plan. The Coalition then reneged on the deal and overthrew Malcolm. The Greens offered to negotiate changes but Rudd had the sulks because his plan to wedge the Coalition was a failure, so he spurned their offer of negotiation and instead tabled a bill that he knew would be defeated. It was Rudd who refused to compromise. That debacle was entirely of his making. He could have negotiated with the Greens to strengthen the bill but he didn’t. Golden Showers defines The lost Howard Years.